Some people count sheep to go to sleep but not the sheep in this book! Counting backwards – to the tune of 10 green bottles – these sheep start by singing silly songs which get sillier as one sheep at a time disappears until they are all gone. Four funny sheep trying to win the game. There’ll be three funny sheep trying to win the game. The accompanying picture shows four sheep playing pin-the-tail-on-the-donkey who happily munches apples, oblivious to their game. But when one sheep pins the tail on the donkey’s forehead, the donkey looks up and the other three sheep run. The illustrations are entertaining. All the sheep are individuals and it’s fun to guess which one will be next to leave the pages. Hidden in each scene is a number to find as well. 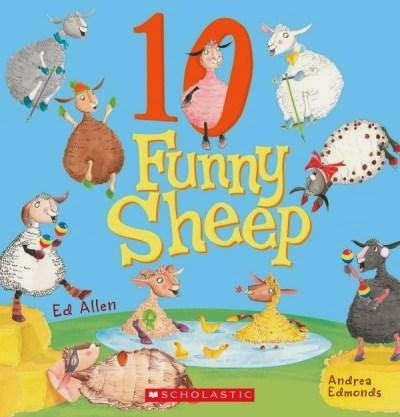 10 Funny Sheep joins other titles in this series including 10 Silly Wombats also by this author/illustrator team and is a light, amusing and entertaining way for young children to practise their counting – forwards and backwards. 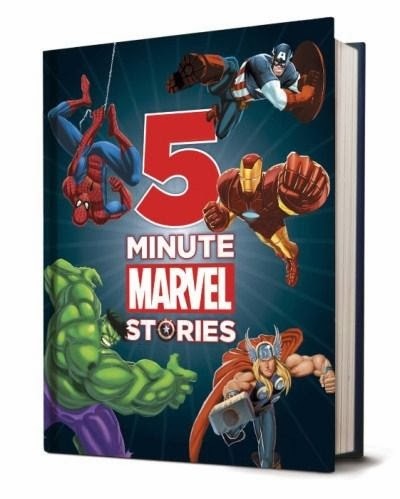 This story book captures all the Marvel Superheroes in one big book - Spiderman, Iron Man, the Avenger, the X-Men, Thor, the Hulk and Captain America. In twelve short stories (each can be read in 5 minutes) these superheroes battle Super Villains and save the world one mission at a time. Can Spiderman defeat Kraven the Hunter? What can Captain America do when confronted by Red Skull with a weapon that is capable of removing the Captain’s powers? And how will The Hulk put a stop to the Abomination? All these stories and more make up 5 Minute Marvel Stories. This edition is full of colourful glossy illustrations, with heroes and villains looming larger than they do in the original comics. This, and the short simple stories will attract young superhero fans. The animals in the bush are afraid of the sounds they hear at night. Cackle the Kookaburra calls them together to hear their stories and try to find a way to calm them. She hears about noises that come from what they imagine to be monsters. They describe sounds like clack, hiss, snarl, snore, screech and roar, grunt and growl. There is also the beat of wings. But who is really making these noises? 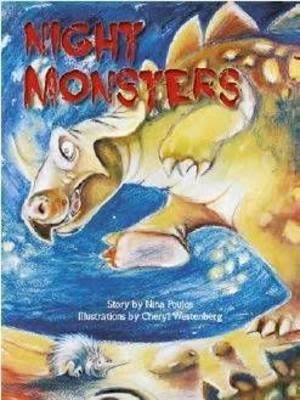 Night Monsters is another terrific book from the NLA which features images from the library’s collection. Written in verse, it addresses the fears children experience at night caused by sounds they can’t identify, and which are often magnified by the silence, darkness, and their imagination. But most of the time an explanation for what they hear will alleviate their fears. So it is for the animals in the story. All of the scary sounds that are mentioned are presented in large red letters. These can be a point of focus and discussion between parents and children. The thick laminated pages are practical and durable. Full page illustrations depict the frightened animals with facial expressions that speak louder than words, and complement the clever rhyming text. 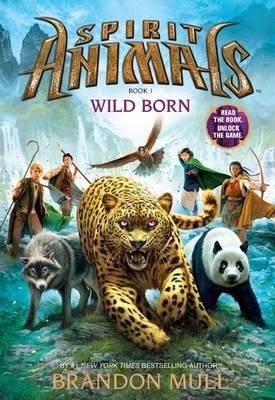 Wild Born is the first book in a new series Spirit Animals. Much like The 39 Clues or Infinity Ring series, each book in this engrossing series will be written by a different author with Brandon Mull kicking off the series. In Eras, having a rare bond with a spirit animal means great power, for both human and beast. And, as Connor, Abeke, Meilin and Rollan discover, with this power comes great responsibility. These four have summoned the animals of legend and their path is set – only they have the power to stop the dark force which is rising in the land. The fate of the world rests on their young shoulders. Wild Born is an exciting ride. It is action packed all the way and ends on a cliff hanger which leaves the reader wanting more. Although I found the writing a little strained at times, the premise of the storyline and the exciting action scenes easily kept me involved. The world Mull has created is fabulous, the fantasy plot intriguing, and the characters make me care about what is happening to them and the world the live in. Clumsy Duck has trouble staying on his feet. Hills make him trip, mud makes him slip and he cannot get a good grip to perch on a branch. It is very frustrating for him. But his friend Chick is sure there is a good reason for his big feet. It is just a matter of finding it. 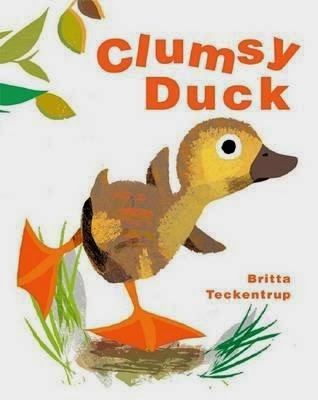 Clumsy Duck is a sweet story about friendship, embracing differences and perseverance. Young children will be charmed by Duck, Chick and the small band of followers they pick up along their travels. They will also be reassured by the notion that everyone is different and it is just a matter of finding your own special talent. 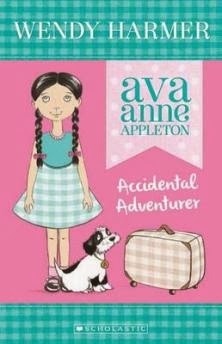 The illustrations are charming and bright and match the upbeat positive feel of the story. This is a delightful picture book for toddlers to six year olds. 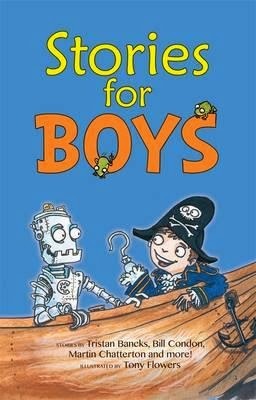 Keeping up the pace and excitement, but this time for six to eight year old boys, is this fine and funny anthology from another twelve fabulous Aussie authors. And they know the stuff that will engage our boys with fabulous adventures featuring: ghosts, robots, jellyfish, lice and terror-dactyls. 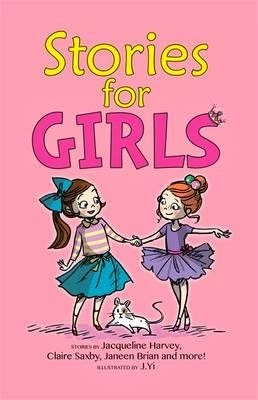 As well as some of the authors from the ‘girls’ series, there are offerings from: Bill Condon, Tristan Bancks, Nick Falk, Aleesah Darlison, Celeste Walters and Sophie Masson. Some stories are written in past tense, some present tense. There are short, accessible sentences with simple words, others with doozies thrown in for good measure, like ‘follicle’ and ‘realm’. There are great similes, ‘rain hammers on the roof like bullets’ and ear-wrenching onomatopoeia where ‘lightning crackles … doors creeeeak and thunder rumbles’. Each story uses a wealth of literary techniques to subliminally encourage readers to create and colour their own stories. Plot and character are the main focus and there are plenty to choose from. There’s Tom who visits his pop in a nursing home. The thing is, his pop hates kids. Tom has a problem. What happens when Jack wishes that his mum were an octopus – a riotous romp of tentacle fun ensues. Or perhaps you’d prefer the story set on a space station where giant jellyfish roam, or something closer to home, Sophie Masson’s romp in the Possum in the Roof. And then there’s the hilarious story of Ferdie the frog who goes to market in a box of lettuces. Celeste Walters delights with her rhythmic and imagery-filled writing when ‘fat hands and thin hands and bodies with trolleys were pushing and shoving and pawing and pouncing’ as Ferdie goes on his adventure around the supermarket. The end result is that all readers will want a frog like Ferdie. With the animated, boyish illustrations by internationally acclaimed artist, Tony Flowers (illustrator of the Saurus Street series), along with the perfect-sized font and plenty of white space in format, Stories for Boys, is a great addition to the bedside table. Mark and Trina are fighting for their lives. Most of the human race has been wiped out by sun flares and the intense heat, toxic radiation and flooding that followed these. Those surviving, including Mark, Trina and their band of friends, have set up small communities and are concentrating on rebuilding their lives as best they can. But when a Berg (huge airships) arrives bringing darts filled with a virus instead of supplies, Mark finds himself on the run again. As the virus mutates and people get even more desperate, Mark and Trina rely on friends, two ex-soldiers, and their own survival instincts. The Kill Order is action packed and addictive. As the intensity builds, it becomes impossible to put down and I had to read it in one sitting. The action starts with the survivors. The sun flares and Marks’s subsequent flight to the mountains is told in dreams and this works surprisingly well. Part of the suspense of the story is in the conflict between Mark’s sleep deprived present and his reliving the horror of his past when he does reluctantly succumb to sleep and dreams. Tagged as a ‘must for fans of The Hunger Games’, the storyline is completely different but the theme and atmosphere is reminiscent - the dystopian setting, the desperation and the bleak disregard - of those in charge - for the general population. The Kill Order is for teens. There is violence, death, destruction and some disturbing scenes once the virus takes hold and begins to mutate. But like all dystopian and apocalyptic tales, it will question what you would do to survive, how far would you go to save the ones you love. And fans of the genre will be totally engrossed in the story, cheering Mark and Trina on to the sad but inevitable ending. 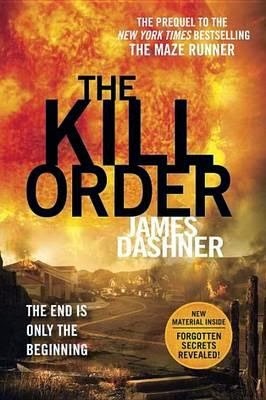 The Kill Order is the prequel to the popular Maze Runner series by James Dashner. The first in the series The Maze Runner is currently in production and a movie is expected sometime towards the end of 2014. Suzy’s dad has to go to something called a war in Vietnam for a year. She is not really sure what that means but she imagines the jungle like a favourite cartoon, looks forward to his post cards and keeps an eye on Mum (just in case she is thinking of going to the jungle too). But Mum and the rest of Suzy’s family stay home as first grade starts. Halloween, Christmas, birthdays and all the other landmarks of the year pass. Until one day, Dad is home again. Sometimes it’s the simply told stories which are felt deeply and this is one that does that so well. It is a personal story, an autobiographical picture book about the author’s childhood, but it is also a story about growth, change and missing a loved one. Told from the point of view of a six year old, the simple, clear and very clever text pulls on the heart strings. Suzy’s slow awakening during the year, through news snippets and Dad’s postcards, to what is happening is interpreted wonderfully by the illustrator. The bright friendly pictures contrast with ones which show how Suzy is imagining the jungle and they get darker and scarier as her awareness grows. 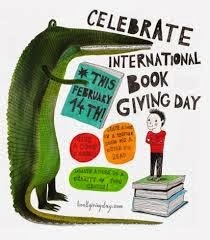 It has great impact. The story starts and ends with the same paragraph about her dad reading Suzy poems by a man named Ogden Nash. But after experiencing the story in-between, that one paragraph means so much more. 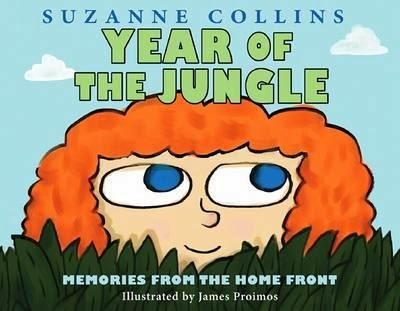 Year of the Jungle is subtitled Memories from the Home Front and that is what the story is about, those at home, not those at war. This picture book sensitively explores the impact war has on families and the very young. However it is probably for school aged children, not preschoolers. I love this book and each time I read it I love it a little bit more. Suzanne Collins is the bestselling author of The Hunger Games trilogy. Have you ever wondered what Australia’s worst natural disaster was? Which soccer team is the most valuable? Or what is the world’s most downloaded song? 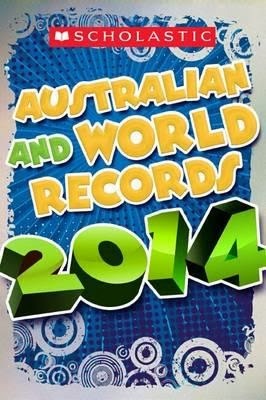 Well then, Australian and World Records 2014 is for you. Broken down into sections such as Australian Records, Internet, Music, Movies and Animals, this book is easy to navigate. Each section has different coloured page borders for quick reference and the book is a great size and weight for flicking through. With an attractive and bright layout, photographs on every page, colourful bar graphs and subjects teens will be interested in, this is a book to spark many ‘Did you know..’ conversations with friends. Suitable for all ages, it would make a great gift for the teen who has everything. 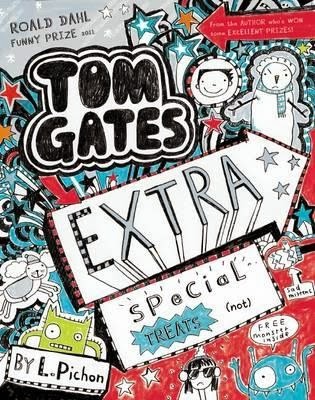 With its explosive cover – bright and sparkling – it should jump quickly off the shelves. Deeply moving and often funny, this sparse verse is clever, philosophical and reflective. 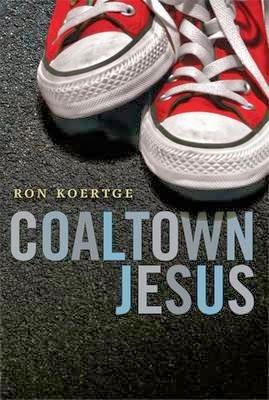 Writing a verse novel is an art and gifted poet Ron Koertge has created something significant that should not be overlooked. Walker’s brother Noah has recently suicided. Walker can’t understand why with his mother’s nursing home full of people waiting to ‘check out’, Noah gets taken. His mother is broken, and Walker calls for divine intervention to put her together again. Jesus appears, but only the boy can see and speak to him. The casual and friendly conversations between Jesus and Walker expose Noah’s life, the trauma his passing has left behind, and the growing detachment between mother and surviving son. The use of the Jesus figure is a unique device which complements and soothes this immensely interesting novel about grief and loss. 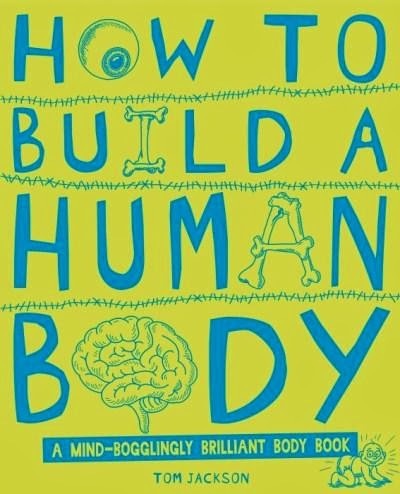 How to Build a Human Body is subtitled A Mind-Bogglingly Brilliant Body Book, and it is. Attractively laid out, with thick glossy pages built to withstand numerous page turnings, this book clearly and amusingly describes the body - how and why it works. The book has a chatty feel about it, as if the author is having a conversation with the reader. Its bright colourful illustrations bring out the humour and enhance the understanding of each body part being discussed. Fangs a Bunch heads a page filled with a giant set of teeth surrounding facts, explanations of the different types of teeth and a diagram of a tooth’s root system. Some of the information seems random – pirates biting gold in all the pirate movies – but these interesting facts always swing back to the point – the stuff in teeth that makes them so hard. Superhuman – all about people who helped discover how the body works - for example James Watson and Francis Crick who found the double helix structure which helps with our understanding of DNA. Under the Skin – which looks at what is going on inside you - for example Feel the Burn explains why muscles feel tired after working out. Try This – things kids can do to get a concrete understanding of their body - such as A Bit of Cheek which shows readers how to look at their own cells under the microscope. There is much to learn about the body and this book is a fun way to learn the facts. It would be enjoyable to read from cover to cover, or to dip in and out of whenever the mood takes you. 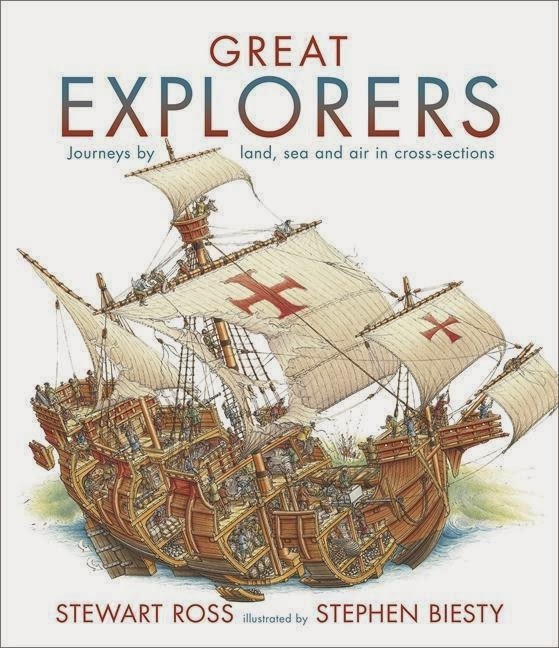 Aimed at upper primary level readers, I think older readers and adults will gain much information and enjoyment from this book as well. Check out the Find Out More booklist and website list at the back for further information. Reuben is part of a large family. In fact, his family is so large that his mum has to count them all when they go out so no-one gets lost or left behind. Reuben loves his mum’s counting, it makes him feel safe. And this is good as there are many things that Reuben worries about – waves, mud, crabs. One day, on the family’s regular Saturday trip to One Mile Beach, Reuben has to face his biggest fear of all. Is he big enough and brave enough to face it? I really like Omnibus’s Mates series. 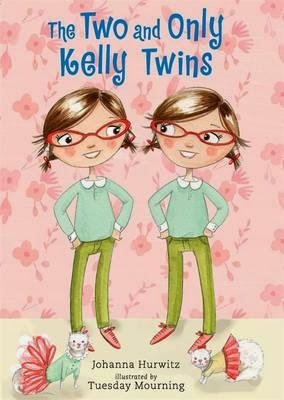 They are perfect junior novels for beginner readers with fully coloured illustrations which break up the short chapters and enhance the story. Some words are highlighted by bigger or bolder font to emphasise meaning and all the text is easy to read. 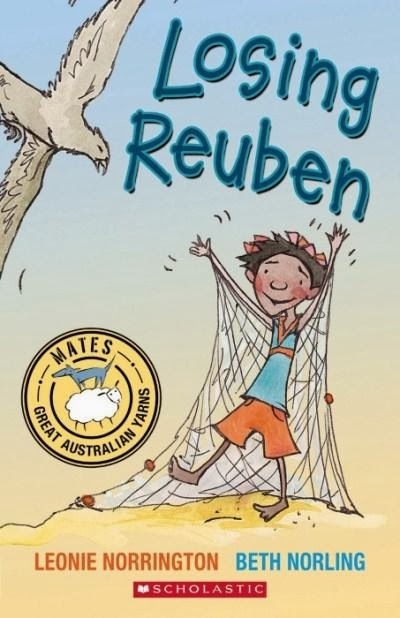 All the books in the Mates series are ‘Great Australian Yarns’ and many, like Losing Reuben, feature indigenous families or cultures. 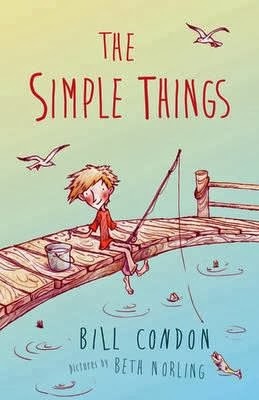 Losing Reuben touches on very common themes for children, such as the ocean and being left behind, but also explores the concept of teetering between being a little kid and being a big kid. 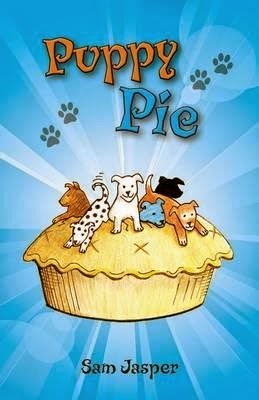 I think children beginning to read will relate to this book on many levels. 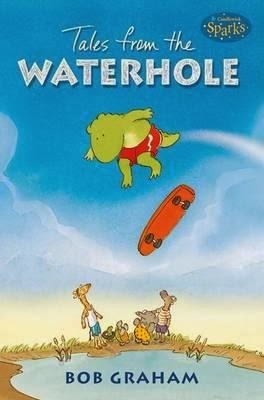 This is really a joyful book about growing up, being part of a happy family, and a fun day out at the beach. Joe Riley rigs billy cart races and sells eggs in the streets of Sydney during the Depression. His techniques for making a few shillings, although not strictly legal, are a matter of survival. His parents want something better for Joe and he is sent to a boarding school across the harbour. Joe is miserable. He misses his family, his home and especially his freedom. St Bartholomew feels like a prison – the food is terrible, the uniform scratchy and the boys, superior. But these are nothing compared to his interactions with Brother Felix. 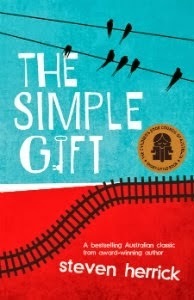 After a final life-changing altercation, Joe is sent to The Farm, a reform school south of Sydney. At The Farm, Joe grows to feel as though he belongs – something he never did at St Bartholomew’s. He makes close friends, gains valuable skills and finds fulfilment in hard work and productivity. The year is almost over and Joe is ready to go home but before leaving The Farm, he has one final and dangerous challenge. Joe Riley must Race the Moon. 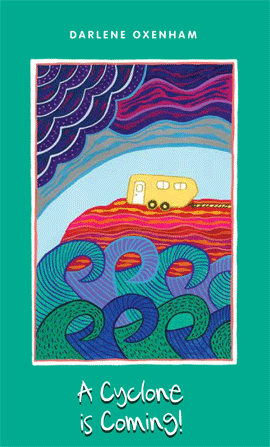 This historical novel for children aged 12-14 will transport young readers into New South Wales during the 1930s. 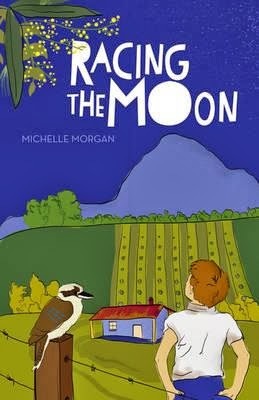 Rich with sensory images, and accurate historical details, Racing the Moon offers a taste of life during the depression in three distinct settings: the streets of Sydney, a Catholic boarding school and a tough, but fair, reform school. 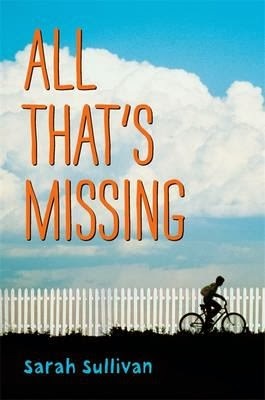 13-year-old Joe tells his story in the realistic voice of a young boy and the reader is invited to grow close to him as they watch him experience a painful, but beneficial year away from home. 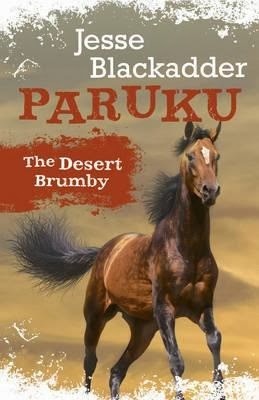 Family relationships are well drawn but it's the horse details which will make 'Paruka The Desert Brumby' the kind of novel, 10-15 year old horse-mad girls will recommend to each other. And even the ones who are not horse-mad. Authentic outback detail and a subtle way of opening up some broader issues of ownership of natural resources. The inserts written from the viewpoint of the brumbies are beautifully written. Poetic and sustained. 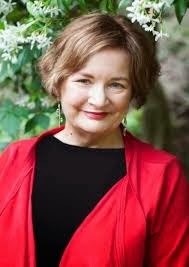 Hazel Edwards OAM is a National Reading Ambassador. 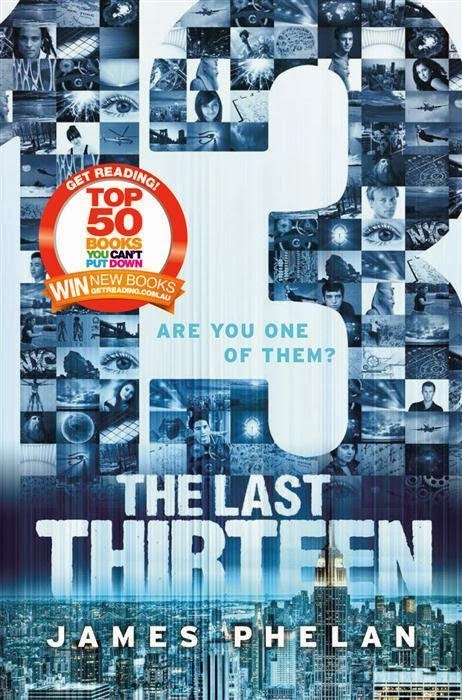 The Last Thirteen is a new series for young teenaged readers. 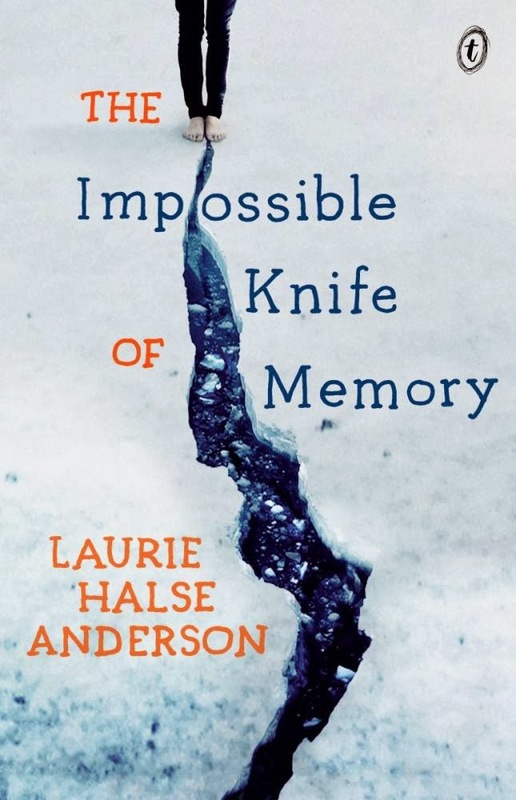 Fast-paced and gripping, the reader is instantly inserted into the action of a ‘true’ dream Small details are revealed throughout the story, increasing the intrigue and tension until the final cliff-hanger moment at the end of the book. 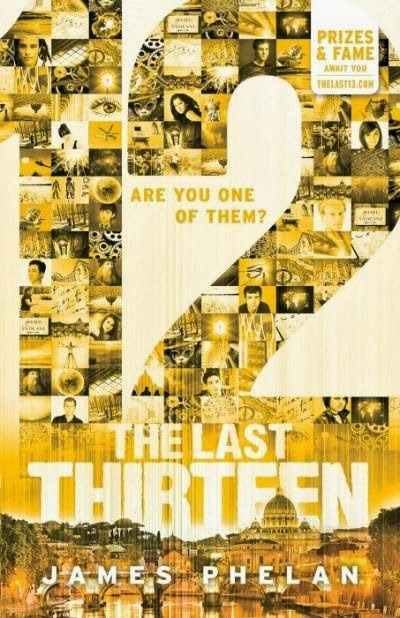 13 is the first book of this series. Sam’s nightmares have always been bad but his latest dream seems even more real than most. Then, he is whisked away in a hair-raising helicopter ride with two other teens and taken to an Academy in Switzerland for ‘Dreamers’ where he is to be taught how to control his dreams. Here he discovers the race between good and evil has begun and he is one of the last thirteen. And Sam has a pivotal role to play in this race. This is a great series for younger teens. It is a classic good versus evil (Academy versus Enterprise) story with a shadowy evil figure Solaris, a world-wide hunt for clues, and a search for the teenagers with special abilities, destined to be heroes in a battle to save the world. Sam is a likeable character, as are the secondary characters and the dilemma the author creates with the two competing agencies and their reasons for being fighting the ‘good’ fight is interesting. Even without the constant threat of death – the battling agencies tend to use dart guns not bullets – the tension is constantly heightened. The puzzle is often made more complex, not easier, and even though they are following events they have already dreamed about, you never know where the action may take a turn and change paths. 13 is wonderfully dramatic, exciting and addictive.